Several advocacy organizations, cancer survivors and experts came together in the nation’s capital today to take a stand and draw attention to an often ignored and misunderstood disease. Results of the “Know Cancer” national survey of 2,026 adults in the U.S. were released at the National Press Club in Washington, DC today at the Lung Cancer Awareness Month Kickoff & Panel Discussions. Additionally, two panels of renowned experts, advocates and survivors addressed—from historical and forward-looking perspectives—lung cancer advocacy and scientific breakthroughs. The survey revealed that the public is utterly misinformed about lung cancer. Below are survey highlights. Ninety-four percent of respondents were unaware that lung cancer is the number one cancer killer of women. Most respondents, 71 percent, incorrectly believed that breast cancer is the number one cancer killer of women. In fact, lung cancer kills nearly twice as many women as breast cancer. Approximately 86 percent of respondents were unaware that lung cancer is the number one cancer killer of men. Sixty-two percent incorrectly believed prostate cancer is the number one cancer killer of men. In fact, lung cancer kills nearly three times as many men as prostate cancer. Approximately 88 percent of respondents were unaware that radon is the number two cause of lung cancer. According to the National Cancer Institute, scientists estimate that 15,000 to 22,000 lung cancer deaths in the United States each year are related to radon. Eighty-seven percent of respondents were unaware that most lung cancer diagnoses are in people who are former smokers or never smoked. Moderated by Donaldson, panelists included Paul Billings, American Lung Association; Andrew Ciupek, PhD., Lung Cancer Alliance; Chris Draft, Chris Draft Family Foundation; Hildy Grossman, PhD., Upstage Lung Cancer; Kyle Hoylman, Cancer Survivors Against Radon; Lauren Humphries, LUNGevity; Montessa Lee, Educator and Author; Kimberly Lester, Lung Cancer Action Network; Gloria Linnertz, Citizens for Radioactive Radon Reduction; Kristin Richeimer, International Association for the Study of Lung Cancer; Robert Smith, PhD., American Cancer Society, National Lung Cancer Roundtable; and Jamie Studts, PhD., University of Kentucky College of Medicine. In addition to launching Lung Cancer Awareness Month, the purpose of the event was to inform the public that anyone can get lung cancer, share recent promising scientific advancements, underscore hope and diminish the stigma of lung cancer. 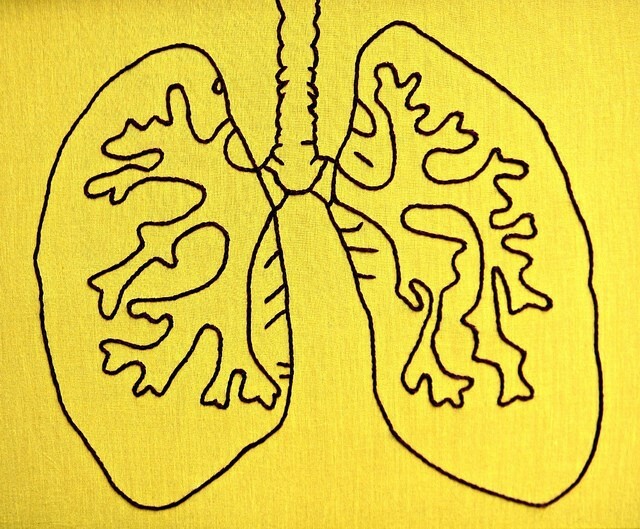 For more information about the collaborative Lung Cancer Awareness Month campaign, visit www.LCAM.org. For more information about the Know Cancer survey, visit www.LungCAN.org. Approximately 154,000 Americans are expected to die from lung cancer in 2018. Every day, 422 Americans die from lung cancer. Over the past 39 years, the rate of new lung cancer cases has fallen 32 percent among men while increasing 94 percent among women. Lung cancer has the lowest 5-year survival rate of the other most common cancers: only 18 percent, compared to prostate at 99 percent, breast at 90 percent and colorectal at 65 percent. Early detection, by low dose CT screening, can decrease lung cancer mortality between 14-61 percent in high-risk populations.